Today’s Kindle Daily Deal for adults is Archie Meets Nero Wolfe , by Robert Goldsborough, and this book was $14.99 yesterday but has been discounted 87% to just $1.99 for today only. This book has received an average user rating of 4 out of 5 stars based on 105 customer reviews. 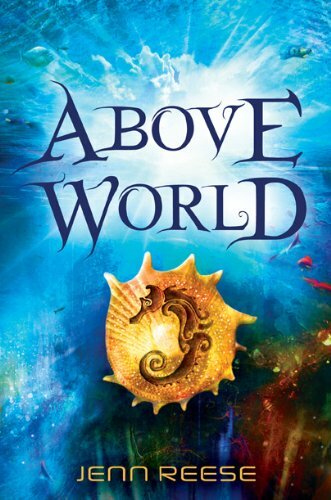 Today’s Kindle Teens Daily Deal is Above World , by Jenn Reese, and this book was $7.99 yesterday but has been discounted 75% to just $1.99 for today only. This book has received an average user rating of 4.5 out of 5 stars based on 32 customer reviews. 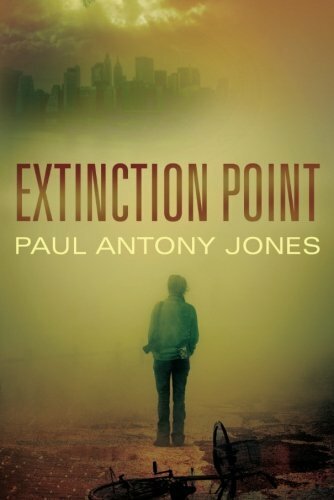 Today’s Kindle Sci-Fi / Fantasy Daily Deal is Extinction Point , by Paul Antony Jones, and this book was $2.99 yesterday but has been discounted 67% to just $0.99 for today only. This book has received an average user rating of 4 out of 5 stars based on 569 customer reviews. I read this one last year and rated it a 4 out of 5 stars in my review. Today’s Kindle Romance Daily Deal is Rebellious Desire , by Julie Garwood, and this book was $7.99 yesterday but has been discounted 88% to just $0.99 for today only. This book has received an average user rating of 4 out of 5 stars based on 56 customer reviews. Click here or type in http://smarturl.it/dailydeal into your web browser to pick up your copy of Archie Meets Nero Wolfe . A suspenseful sci-fi escapade plucks two children out of the ocean for a thrilling adventure. Thirteen-year-old Aluna has lived her entire life under the ocean with the Coral Kampii in the City of Shifting Tides. But after centuries spent hidden from the Above World, her colony’s survival is at risk. The Kampii’s breathing necklaces are failing, but the elders are unwilling to venture above water to seek answers. Only headstrong Aluna and her friend Hoku are stubborn and bold enough to face the terrors of land to search for way to save their people. But can Aluna’s fierce determination and fighting skills and Hoku’s tech-savvy keep them safe? Set in a world where overcrowding has led humans to adapt – growing tails to live under the ocean or wings to live on mountains – here is a ride through a future where greed and cruelty have gone unchecked, but the loyalty of friends remains true. Click here or type in http://smarturl.it/dailydeal into your web browser to pick up your copy of Above World . First comes the red rain: a strange, scarlet downpour from a cloudless sky that spreads across cities, nations, and the entire globe. In a matter of panicked hours, every living thing on earth succumbs to swift, bloody death. Yet Emily Baxter, a young newspaper reporter, is mysteriously spared—and now she’s all alone. But watching the happy life she built for herself in New York City slip away in the wake of a monstrous, inexplicable plague is just the beginning of Emily’s waking nightmare. The world isn’t ending; it’s only changing. And the race that once ruled the earth has now become raw material for use by a new form of life never before seen…on this planet. With only wits, weapons, and a bicycle, Emily must undertake a grueling journey across a country that’s turning increasingly alien. For though she fears she’s been left to inherit the earth, the truth is far more terrifying than a lifetime of solitude. Click here or type in http://smarturl.it/dailydeal into your web browser to pick up your copy of Extinction Point . Of all the dukes in England, Jered Marcus Benton, the Duke of Bradford, was the wealthiest, most handsome — and most arrogant. And of all London’s ladies, he wanted the tender obedience of only one — Caroline Richmond. She was a ravishing beauty from Boston, with a mysterious past and a fiery spirit. Drawn to the powerful duke, undeterred by his presumptuous airs, Caroline was determined to win his lasting love. But Bradford would bend to no woman — until a deadly intrigue drew them enticingly close. Now, united against a common enemy, they would discover the power of the magnificent attraction that brought them together…a desire born in danger, but destined to flame into love! Click here or type in http://smarturl.it/dailydeal into your web browser to pick up your copy of Rebellious Desire . Today’s Free App of the Day is PDF to Speech and this utility app is normally $2.99 in the Amazon App Store but is free for today only. Listen to your your office documents, books, articles and research papers while you drive, run, or walk the dog. Use it to proof-read your papers. Increase you productivity by listening to work/research papers while you drive or run or when your eyes need rest. Or increase the value of your entertainment time by listen to you favorite stories. Text files (txt). ISO9958-1(EUROPE), UTF-8(Standard), and ASCII supported. OCR: reads scanned documents and pictures with text on PDF documents. Also take a picture of a document and extract the text from the picture. Website-to-Speech: Docs-to-Speech can read website pages. In three simple steps: press and hold the URL on the browser, select share option, select Docs-to-Speech. In a few seconds the app starts to read the article. Download and save your PDF files and plain text file Attachments from the gmail app and other apps. The downloaded file is placed in the Download folder. Support for SVOX, IVONA(beta and FREE) text-to-Speech and other High Fidelity text-to-speech synthesizers. Gestures: Use gestures to quickly flip pages, advance sentences, and to play and pause the reader. A menu help option informs of the available gesture instructions. Replace Text tool: Replace words or phrases to avoid repetitive, unnecessary phrases. Use it to replace foreign words with more phonetic alternatives. Use it to omit symbols. It can also be used to replace names or words with funny substitutes. Support for OI Manager as well as other file managers. Accessibility: Pdf-to-Speech has been tested to work with talk-back. The use of hardware buttons such as a Bluetooth headset is recommended to pause the reader before browsing the app using talk-back. Bookmarks: Bookmarks save the page and sentence number so you can save locations of interest in your document. You can also attach comments to the bookmarks. Setting: Multiple language support (German, French, English, Spanish, Portuguese… and many more). Change speed/pitch within the app. You can pick up your free copy of PDF to Speech by clicking here or typing in http://smarturl.it/appdeal into your web browser. Want to have this blog sent wirelessly to your Kindle vs. reading it on your computer? Try out the free two-week subscription! Click here for the Amazon page for Kindle Books and Tipsor type in http://www.tinyurl.com/fkblog into your computer’s web browser. Here are seven discounted and free Kindle book offers from highly-rated independent authors who have discounted the pricing for a limited time just for members of the blog. While the pricing of the free status is valid at the time of this posting, please make sure you check the pricing carefully before you press the “buy” button as it could change at any time! 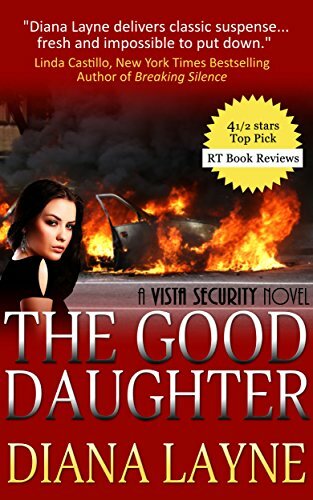 The Good Daughter: A Mafia Story by Diana Layne, is regularly $3.99 but has been discounted 75% to just $0.99 in the Amazon Kindle store, and this book has received an average user rating of 4.5 out of 5 stars based on 261 customer reviews. A 2012 RT Book Reviews Indie Press/Self-Published Contemporary Romance Nominee! Click here or type in http://smarturl.it/7i42pc into your web browser to pick up your copy of The Good Daughter: A Mafia Story . 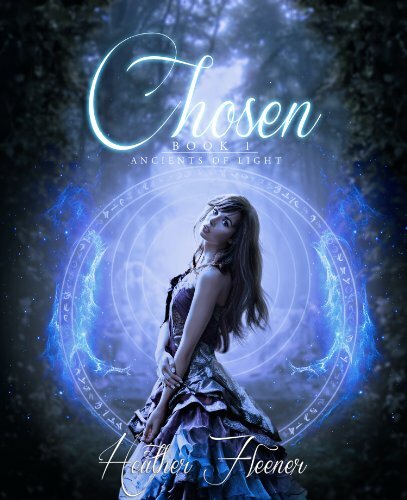 Chosen (Ancients of Light) by Heather Fleener is normally $2.99 but has been discounted 67% to just $0.99 in the Amazon Kindle store, and this book has received an average user rating of 4.5 out of 5 stars based on 19 customer reviews. Click here or type in http://smarturl.it/eezgj5 into your web browser to pick up your copy of Chosen (Ancients of Light) . 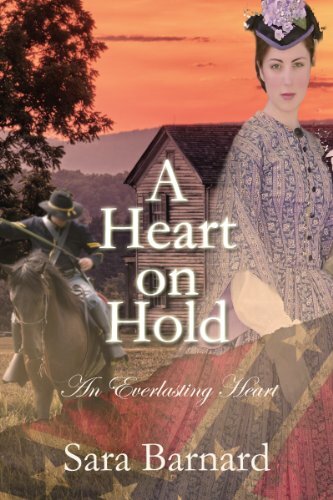 A Heart on Hold by Sara Barnard is normally priced at $2.99 but has been discounted 67% to just $0.99 in the Amazon Kindle store, and has received an average user rating of 5 out of 5 stars based on 9 customer reviews. Click here or type in http://smarturl.it/pqmb1o into your web browser to pick up your copy of A Heart on Hold . 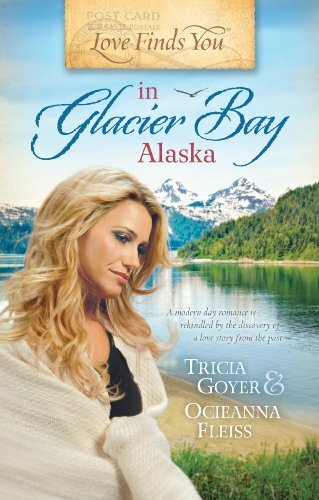 Love Finds You in Glacier Bay, Alaska by Tricia Grover and Ocienna Fleiss, is normally $9.99 but has been discounted 90% to just $0.99 today in the Amazon Kindle store, and this book has received an average user rating of 4.5 out of 5 stars based on 88 customer reviews. Singer Ginny Marshall is one signature away from the recording contract of her dreams—a deal that would guarantee success for the former foster child, who still struggles to bury the memories of her painful childhood. But Ginny needs advice from the one person who will look out for her best interests—her former fiancé, Brett Miller. She travels to the remote town of Glacier Bay, Alaska, where the town’s colorful characters and stunning scenery provide respite from LA’s pressures. In Glacier Bay, Ginny discovers a box of old letters and is swept up in the love story between Clay, an early missionary to Alaska Territory, and Ellie, the woman who traveled there to be his children’s governess. When Ginny is reunited with Brett in Glacier Bay, will she discover—as Ellie did—that healing and love are sometimes found in the most unexpected places? Click here or type in http://smarturl.it/lebno4 into your web browser to pick up your copy of Love Finds You in Glacier Bay, Alaska . 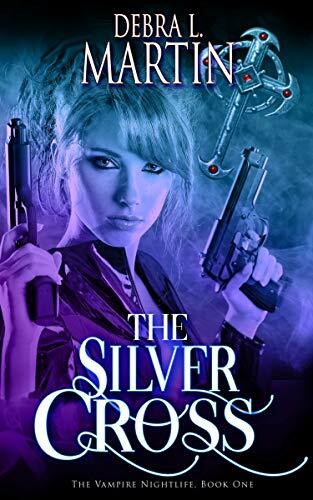 The Silver Cross by Debra L. Martin and David W. Small is $2.99 in the Amazon Kindle store, and this book has received an average user rating of 4 out of 5 stars based on 371 customer reviews. Click here or type in http://smarturl.it/uqlgcd into your web browser to pick up your copy of The Silver Cross . 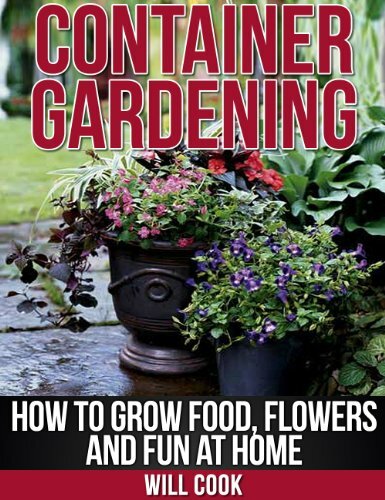 Container Gardening: How to Grow Food, Flowers and Fun at Home by Will Cook is free today in the Amazon Kindle store, and has received an average user rating of 4.5 out of 5 stars based on 33 customer reviews. I received a note from the author saying this book would be free through May 3rd. Even if you only have a tiny balcony to work with, you can grow fresh food and flowers there. There are dozens of kinds of container gardens you can create to suit your own personality and tastes. Do you want tons of fresh food, flowers or something totally unique like a contorted filbert? Included in the book are step-by-step tutorials and instructions for proper fertilizer use, the proven system for proper plant watering and general plant maintenance to make it both easy and fun to care for your new home garden. Gardening doesn’t have to be hard! Are you looking for that extra special plant or garden that will wow and amaze your house guests? Included in the book are instructions for unique and beautiful terrariums, japanese gardens, the mystical bonsai trees, scintillating succulent gardens and even cute little cactus gardens. You don’t have to grow the same old plants like everyone else – you can grow something entirely new and exciting! Some plants just thrive extremely well in container gardens and look gorgeous to boot! Learn about coleus, bogonias, wishbone flower and dozens of other plants that are perfect for growing in containers. Whether you’re a complete beginner or just want to learn more, this gardening guidebook will teach you everything you need to know to enjoy the fruits of your own special garden. Every section includes action steps, pictures and step by step tutorials so you will know what to do and how to do it to create your perfect garden. You’ll learn how to start your own aeroponics vertical garden for less than a few hundred dollars. In the past, aeroponics and hydroponics systems were only available to the wealthy and those with extensive knowledge of agriculture and hydroponics. Click here or type in http://smarturl.it/u05ioa into your web browser to receive your free copy. 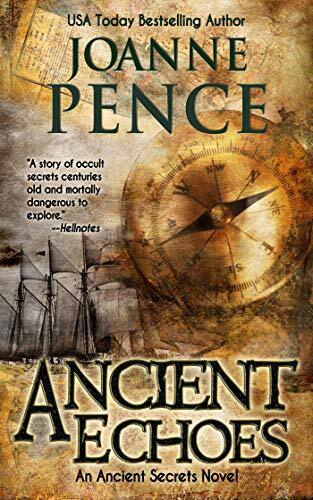 Ancient Echoes a new release by Joanne Pence, is free today in the Amazon Kindle store. I received a note from the author saying this is the last day for this book to be free. USA Today bestselling mystery author Joanne Pence presents an intriguing paranormal thriller where past and present collide. It will appeal to fans of Douglas Preston and Lincoln Childs’ paranormal thrillers, and the interwoven history with current day events of Elizabeth Kostova’s The Historian. Over two hundred years ago, a covert expedition shadowing Lewis and Clark disappeared into the wilderness of Central Idaho. Now, seven anthropology students and their professor vanish in the same area. The key to finding them lies in an ancient secret, one involving alchemy, gold, and immortality…a secret that men throughout history have sought to unveil. Click here or type in http://smarturl.it/urn3c7 into your web browser to receive your free copy. Here are five discounted and free Kindle book offers from highly-rated independent authors who have discounted the pricing for a limited time just for members of the blog. While the pricing of the free status is valid at the time of this posting, please make sure you check the pricing carefully before you press the “buy” button as it could change at any time! 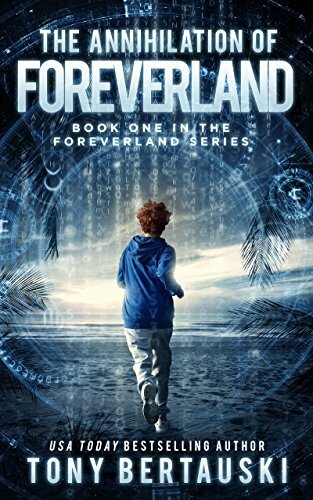 The Annihilation of Foreverland by Tony Bertauski is normally $2.99 but has been discounted 67% to just $0.99 in the Amazon Kindle store, and this book has received an average user rating of 4.5 out of 5 stars based on 129 customer reviews. Sabre Orin Brown’s clients keep disappearing. With seemingly no connection between the cases, Sabre enlists the help of her southern PI friend, JP, and her best friend, Bob, to find each of them–before it’s too late. In her race against the clock, Sabre must determine whether contemporary horrors are being buried in the shadow of dark traditions–or if it’s something else at work. A conspiracy years in the making, secrets hidden for decades, and the twisted work of a mysterious society have all come together in the ultimate test of the strength of Sabre’s conviction. Click here or type in http://smarturl.it/ugnuta into your web browser to pick up your copy of The Annihilation of Foreverland . 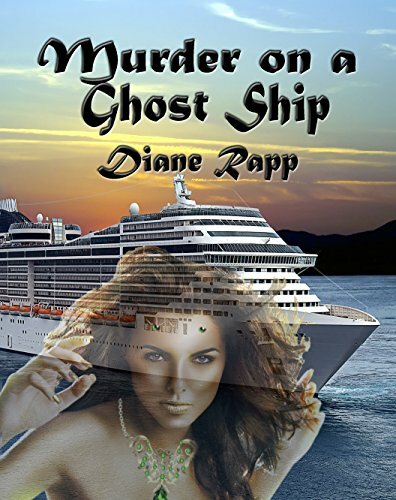 Murder on a Ghost Ship by Diane Rapp, is regularly $2.99 but has been discounted 67% to just $0.99 in the Amazon Kindle store, and this book has received an average user rating of 4.5 out of 5 stars based on 14 customer reviews. Click here or type in http://smarturl.it/1c67d5 into your web browser to pick up your copy of Murder on a Ghost Ship . 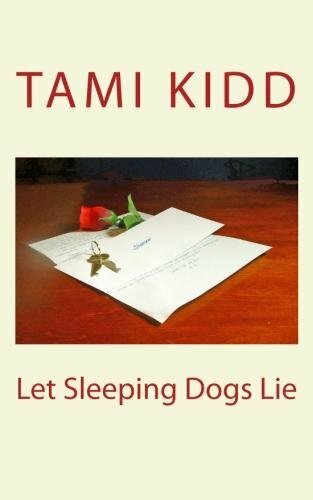 Let Sleeping Dogs Lie by Tami Kidd is normally priced at $2.99 but has been discounted 67% to just $0.99 in the Amazon Kindle store, and has received an average user rating of 4 out of 5 stars based on 36 customer reviews. Mystery author, Mara Byrne is a woman who leads an idyllic life. She’s an accomplished author and she’s married to her soul mate. For nearly thirty years she lived the perfect life in sunny southern California, quite an improvement from her impoverished childhood in rural Arkansas growing up with six brothers. Her world is turned upside down when the love of her life, Thomas, dies suddenly. She is plunged into an abysmal depression after her husband’s death. Mara thought things couldn’t get any worse, but then she finds a mysterious letter in her husband’s belongings. Did her husband of thirty years have an affair? Who was this man she thought she knew? Overcome with daunting questions, Mara is consumed with finding answers. Perhaps by divine intervention, or maybe it was just a fluke, she crosses paths with a handsome private detective, Alex Strange, who happens to share the same name as the main character in her books. He offers to help her find the truth about the letter and her husband by locating the mysterious woman who wrote the letter. As Mara and Alex delve into their investigation, Mara is thrust into danger by people who want the letter and the secrets it hold. These people are willing to do just about anything to get it as Mara learns the hard way. In a world where no one is who they seem to be and secrets are around every corner, Mara has to decide if finding the truth is worth her life and her sanity or if she should let sleeping dogs lie? Follow Mara and Alex as they unravel the mystery of the letter. Let Sleeping Dogs Lie is both a standalone novel and the first book in a series of mysteries involving Mara and Alex. 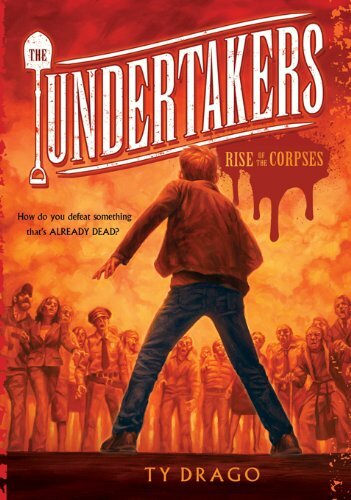 The second novel of the series is projected to be released in 2013. Click here or type in http://smarturl.it/y7j3zx into your web browser to pick up your copy of Let Sleeping Dogs Lie . 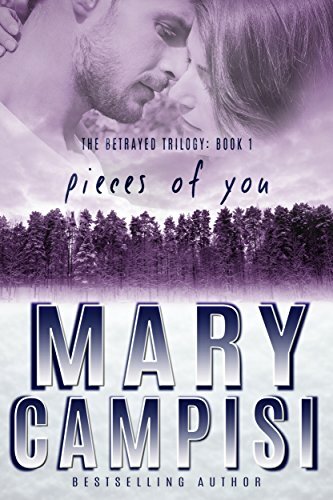 Pieces of You by Mary Campisi, is $2.99 today in the Amazon Kindle store, and this book has received an average user rating of 4.5 out of 5 stars based on 15 customer reviews. Click here or type in http://smarturl.it/pieces into your web browser to pick up your copy of Pieces of You . 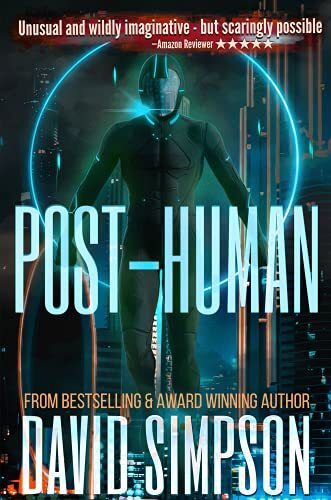 Post-Human by David Simpson is free today in the Amazon Kindle store, and this book has received an average user rating of 4.5 out of 5 stars based on 371 customer reviews. I received a note from the author saying this book would be free for today only. I read this one last year and thought it was pretty good and rated it a 4 out of 5 stars in my review, and went on to read the rest of the books in the series. If you would like to see the review I wrote, you can click here or type in http://smarturl.it/nf72b2 into your web browser. If you think the review was helpful, I would appreciate a “yes” vote just underneath the review on the Amazon website. Click here or type in http://smarturl.it/23yqfx into your web browser to pick up your copy of Post-Human . 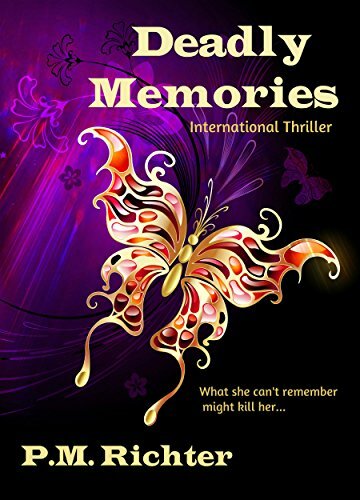 Today’s Featured Kindle Book of the Day is Deadly Memories , by Pamela M. Richter, and this book is normally $2.99 but has been discounted 50% to just $1.49 in the Amazon Kindle store through Thursday only; this book has received an average user rating of 4.5 out of 5 stars based on 58 customer reviews. Click here or type in http://smarturl.it/r4c7lq into your web browser to pick up your copy of Deadly Memories . You can visit Pamela’s Amazon author page if you click here or type in http://smarturl.it/prichter into your web browser. Born and raised in New Zealand, I traveled to Sydney, Australia with my boyfriend when I was nineteen years old and boarded a train to the other side of Australia– my first overseas adventure. We fell in love with Australia – the people, the climate, the lifestyle, the wildlife, the wide-open spaces, everything – so much so that we didn’t want to leave. Seven years later and still there, we purchased backpacks, Eurail passes and a round-the-world airfare each. After an amazing year spent traveling and exploring, we returned “home” to Western Australia. Unfortunately, two years later I became quite ill. It was while recovering from surgery at a country holiday property that I decided that if I didn’t follow my dream of becoming a writer then I never would. Not long after that I resigned my job and much to the consternation of many friends who saw it as dropping out of society, we moved to a rural property ninety minutes north-east of Melbourne. When I started writing, my dream – like most new writers’ – was to be a published author and to make a living from writing. I didn’t expect it to take so long. I was naive, but in hindsight, I don’t think that’s a bad attribute to have when you start out. If I’d known that I’d write two novels only to consign them to the bottom drawer, would I have even started? I don’t know. Would I have given up everything to write if I’d known that my third novel, Thin Blood, even though agented, would fail to sell to a publisher in large part because most of the publishers refused to even look at the book? (“Americans don’t want to read Australian mysteries,” my agent was told.) I don’t know. But would-haves don’t matter. It’s what I did that’s important. I just kept writing and my agent kept pitching my work to publishers. Six novels later, I’m still writing. Thin Blood, the novel rejected by publishing house after publishing house peaked at #1 Mystery in the Kindle Store (#6 All Paid Kindle Books) and was named an Amazon 2010 Customer Favorite. I often say that all my life experiences are brought to bear in my writing, but it wasn’t until my last novel, Bitter Nothings, that I delved into my own family experiences. And that’s probably because enough years have passed that I can now talk openly about it. In Bitter Nothings, the protagonist’s mother had committed suicide on what would’ve been her and her estranged husband’s thirtieth wedding anniversary. In one of those truth-is-stranger-than-fiction twists, my mother committed suicide on my parents’ twenty-fifth wedding anniversary. Obviously the details and motives are different and my parents were still married, but the emotion and questions are still the same. The two brothers in Bitter Nothings are loosely modeled on my own two brothers (except my brothers can tolerate each other even less than the brothers in the story). But that’s as far as the similarities go to my own situation. Dervla, the sister in the story, is nothing like myself or any of my three sisters. My next novel is very much at the plotting stage and I’m still getting to know my characters, which for me is one of the most exciting aspects of writing. However, my biggest buzz comes when I receive emails from readers who’ve loved my stories (and even the odd one who hasn’t), many who’ve read every book I’ve written and are eagerly awaiting the next. And that is why I write. Thin Blood: Ten years after two juries fail to convict a stockbroker of the murder of his missing wife, retrenched journalist Jacinta Deller befriends the stockbroker’s new wife, the victim’s sister. Sleight Malice: When a badly charred body is discovered in the remains of her best friend’s home, Desley James is devastated. Except the body is male and her friend is missing. Brittle Shadows: Two months after finding her fiancé’s naked corpse hanging from a wardrobe rail in their apartment, Jemma Dalton’s sister takes her own life, leaving Jemma to probe the dark shadows of her sister’s life. Fatal Liaison: The lives of two strangers, Greg Jenkins and Megan Brighton, become inextricably entangled when they each sign up for a dinner dating agency. But Greg’s reason for joining has nothing to do with looking for love. The inspiration for each of these came from news articles and true crime cases to which I then applied a series of what-ifs. It’s unlikely now anyone would recognize the true crimes that sparked them though. Outside of writing and reading, my main interests are design and photography. I like to laugh, drink coffee, spend time alone, spend time in company, and get close to nature. I dislike crowds, hospitals and offal. Thank you, Vicki! You can also check out Vicki’s Amazon Author Page if you click here or type in http://smarturl.it/vickityley into your web browser. I have Thin Blood on my Kindle ready to read! I have notified the winner of the Kindle Keyboard with 3G giveaway, as well as the 25 winners of the nifty coffee mug with the blog’s logo: the winners were sent an email this morning, and as soon as I hear back from them the prizes will be on their way! To see a list of the winners, you can if you click here or type in http://smarturl.it/043g into your web browser and look at the signup box – the winners’ first names are displayed. Last week I gave you a link to third-party sites that offer free (and paid) Kindle books. I’ve received several emails asking me to send them that link again. You can click here or type in http://www.fkbooksandtips.com/free-book-links/ into your web browser to give it a look. I received a blast advertising email from Amazon last night, asking me if I had an old Kindle I wanted to sell back to them (working or not) in return for an Amazon gift card. The prices they are offering (to me) don’t seem that high, but if you have one just sitting around gathering dust you might want to consider turning it in for a gift card. You can click here or type in http://tinyurl.com/kindletrade into your web browser to give the offers a look. It’s not just Kindle’s they are looking for you to trade-in, but other electronics such as calculators, old cell phones, laptops, and just about any other flavor of electronic. You can check out the deals, and possibly get a new gift card in return for your unused electronics, if you click here or type in http://smarturl.it/tradein into your web browser. 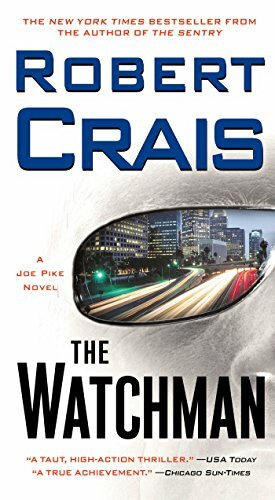 Today’s Kindle Daily Deal for adults is The Watchman , by Robert Craig, and this book was $9.99 yesterday but has been discounted 80% to just $1.99 for today only. This book has received an average user rating of 4.5 out of 5 stars based on 215 customer reviews. Today’s Kindle Teens Daily Deal is The Unquiet , by Jeannine Garsee, and this book was $13.99 yesterday but has been discounted 79% to just $2.99 for today only. This book has received an average user rating of 4 out of 5 stars based on 29 customer reviews. 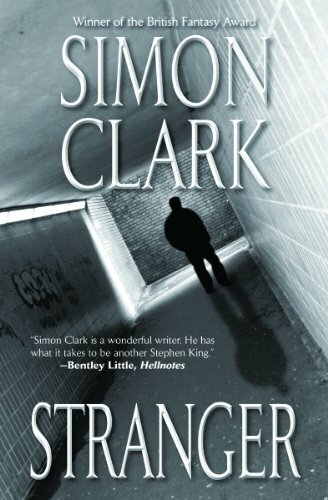 Today’s Kindle Sci-Fi / Fantasy Daily Deal is Stranger , by Simon Clark, and this book was $4.99 yesterday but has been discounted 60% to just $1.99 for today only. This book has received an average user rating of 4 out of 5 stars based on 16 customer reviews. Today’s Kindle Romance Daily Deal is Intimate Deception , by Laura Landon, and this book was $9.99 yesterday but has been discounted 80% to just $1.99 for today only. This book has received an average user rating of 4.5 out of 5 stars based on 98 customer reviews. The city was hers for a single hour, just the one magic hour, only hers. Larkin Conner Barkley lives like the City of Angels is hers for the taking. Young and staggeringly rich, she speeds through the city during its loneliest hours, blowing through red after red in her Aston Martin as if running for her life. Until out of nowhere a car appears, and with it the metal-on-metal explosion of a terrible accident. Dazed, Larkin attempts to help the other victims. And finds herself the sole witness in a secret federal investigation. For maybe the first time in her life, Larkin wants to do the right thing. But by agreeing to cooperate with the authorities, she becomes the target for a relentless team of killers. And when the U.S. Marshals and the finest security money can buy can’t protect her, Larkin’s wealthy family turns to the one man money can’t buy — Joe Pike. Pike lives a world away from the palaces of Beverly Hills. He’s an ex-cop, ex-Marine, ex-mercenary who owes a bad man a favor, and that favor is to keep Larkin alive. The one upside of the job is reuniting with Bud Flynn, Pike’s LAPD training officer, and a man Pike reveres as a father. The downside is Larkin Barkley, who is the uncontrollable cover girl for self-destruction — and as deeply alone as Pike. Pike commits himself to protecting the girl, but when they immediately come under fire, he realizes someone is selling them out. In defiance of Bud and the authorities, Pike drops off the grid with the girl and follows his own rules of survival: strike fast, hit hard, hunt down the hunters. With the help of private investigator Elvis Cole, Pike uncovers a web of lies and betrayals, and the stunning revelation that even the cops are not who they seem. As the body count rises, Pike’s biggest threat might come from the girl herself, a lost soul in the City of Angels, determined to destroy herself unless Joe Pike can teach her the value of life…and love. Click here or type in http://smarturl.it/dailydeal into your web browser to pick up your copy of The Watchman . Over the summer, Rinn stopped taking her bi-polar meds and blames herself and the voices she heard for her grandmother’s tragic death. To get a new start, Rinn and her mother are moving back to her mom’s small hometown and Rinn has promised to never miss a pill again. The fresh start is just what Rinn needs. She falls in with the popular girls at her new school and she falls for very cute “farmer boy” Nate. But River Hills High School has a secret. The ghost of Annaliese, a girl who died when Rinn’s mother was a student there, haunts a hallway the teens call The Tunnel. Rinn’s not sure she believes it, but slowly Annaliese seems to be punishing those who enter the tunnel alone. A chorus soloist loses her voice, a star cheerleader falls off the pyramid, and then it gets worse-worse as in death. Rinn still doesn’t know if Annaliese is real, and there’s only one way to find out. Rinn needs to ditch her bi-polar meds again and see what the voices are really trying to say…. Click here or type in http://smarturl.it/dailydeal into your web browser to pick up your copy of The Unquiet . Click here or type in http://smarturl.it/dailydeal into your web browser to pick up your copy of Stranger . Click here or type in http://smarturl.it/dailydeal into your web browser to pick up your copy of Intimate Deception . Today’s Free App of the Day is Galazer and this game app is normally $0.99 in the Amazon App Store but is free for today only. Galazer is a combat game which won’t give you time to take a breath. Feel the frenzied action, control your senses and put your reflexes to the test… If you blink, you’re dead! Galazer is the definitive game in its category for Blackberry, with previously unseen playability, control accuracy and addictiveness, filled with incredible graphics and a spectacular soundtrack. Put your senses on Galazer. Feel the Power of the Stars in your hands. You can pick up your free copy of Galazer by clicking here or typing in http://smarturl.it/appdeal into your web browser. Here are six discounted and free Kindle book offers from highly-rated independent authors who have discounted the pricing for a limited time just for members of the blog. While the pricing of the free status is valid at the time of this posting, please make sure you check the pricing carefully before you press the “buy” button as it could change at any time! 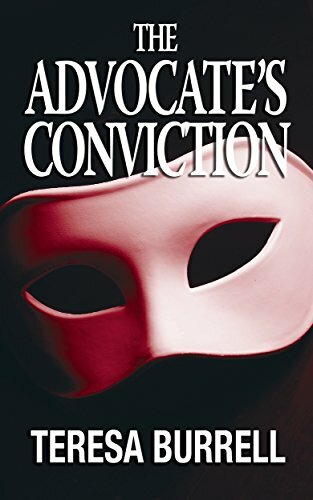 The Advocate’s Conviction by Teresa Burrell is just $0.99 in the Amazon Kindle store, and this book has received an average user rating of 4.5 out of 5 stars based on 37 customer reviews. Click here or type in http://smarturl.it/ehrn2v into your web browser to pick up your copy of The Advocate’s Conviction . Failsafe by Saul Tanpepper, is regularly $1.99 but has been discounted 50% to just $0.99 in the Amazon Kindle store, and this book has received an average user rating of 4.5 out of 5 stars based on 4 customer reviews. Five hackers. One game. Ten thousand undead. 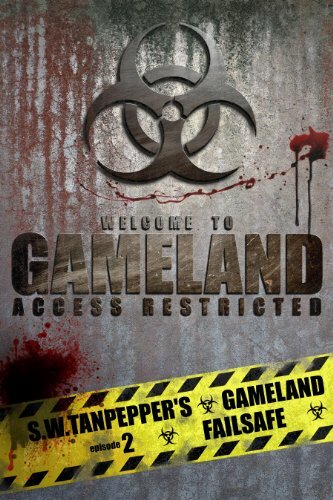 In the center of Long Island’s forbidden wasteland, overseen by a powerful corporation known as Arc Properties, is GAMELAND, a massive virtual reality arcade where the rich and privileged act out their brutal fantasies. Using cybernetic links and holographic setups, Operators pit their Undead Players against each other in a high stakes game of violence, money and power, while the poor can only watch the horrifying and powerfully addictive contests on State-controlled media streams. Breaking in was easy. Getting back out is a killer. Click here or type in http://smarturl.it/failsafe into your web browser to pick up your copy of Failsafe . 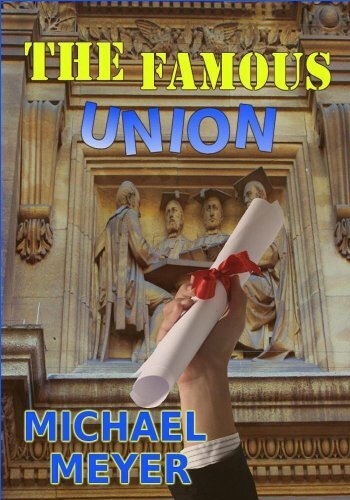 The Famous Union by Michael Meyer is normally priced at $2.99 but has been discounted 67% to just $0.99 in the Amazon Kindle store, and has received an average user rating of 4 out of 5 stars based on 20 customer reviews. Famous Union is a pretty little college with expensive fountains, cute coeds, and brand new artificial turf on the football field. It seems like the perfect place to work, but not all is as it seems, especially when bungling administrators create theater-of-the-absurd conditions in this once very proud institution of higher learning. Hampered by severe budgetary problems, the powers-that-be at Famous Union College create situations that bring about comical chaos for faculty and students alike. How will the often eccentric characters cope with the drastic changes suddenly thrust upon them, where compromise is a four-letter word? Famous Union College is a place where what is what is not. Click here or type in http://smarturl.it/gfkxqj into your web browser to pick up your copy of The Famous Union . 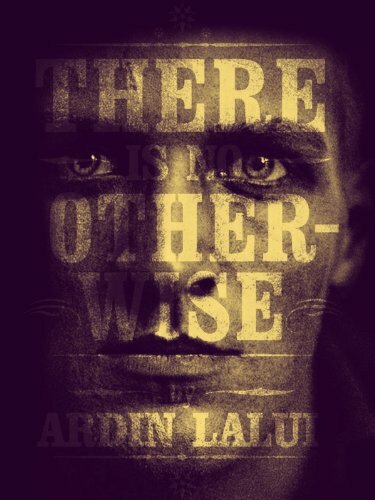 There is No Otherwise by Ardin Lalui, is normally priced at $2.99 but has been discounted 67% to just $0.99 today in the Amazon Kindle store, and this book has received an average user rating of 4.5 out of 5 stars based on 33 customer reviews. This is the critically acclaimed and emotionally charged story of JP McGrath, a young cowboy who at sixteen finds himself working on the Tobin Ranch east of El Paso. JP has been forced to grow up fast, life has been hard, but his biggest test is yet to come. On a night out drinking with friends, a chain of events is set in motion as violent as it is unstoppable. Already, JP has been hailed as having entered the ranks of the most interesting, sympathetic and poignant characters to populate the lonesome, literary West. This beautifully designed series of stories, of which this is the first, is fast becoming one of the most anticipated western collections of recent years. Click here or type in http://smarturl.it/uli4ju into your web browser to pick up your copy of There is No Otherwise . 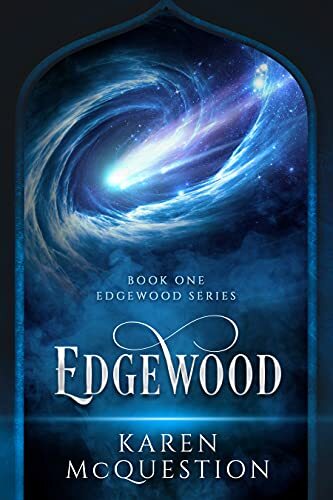 Edgewood by Karen McQuestion is priced at just $2.99 today in the Amazon Kindle store, and this book has received an average user rating of 4.5 out of 5 stars based on 125 customer reviews. 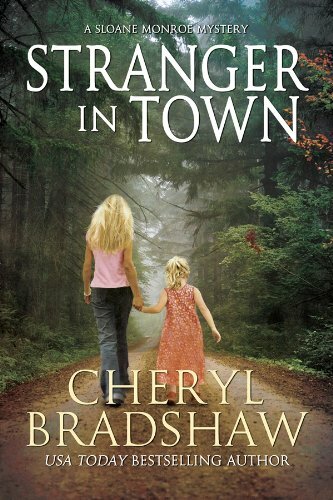 Stranger in Town by Cheryl Bradshaw is free today in the Amazon Kindle store, and this book has received an average user rating of 4.5 out of 5 stars based on 211 customer reviews. I received a note from the author saying this is the last day for this book to be free. Click here or type in http://smarturl.it/qkh2hy into your web browser to pick up your copy of Stranger in Town . 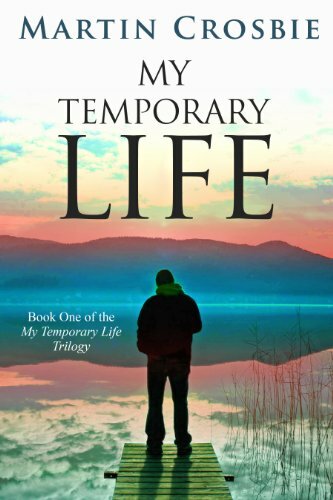 Today’s Featured Kindle Book of the Day is My Temporary Life , by Martin Crosbie, and this book is normally $3.99 but has been discounted 25% to just $2.99 in the Amazon Kindle store through tomorrow only; this book has received an average user rating of 4.5 out of 5 stars based on 213 customer reviews. Malcolm Wilson learned that everything is always temporary. Growing up, he’s raised by a promiscuous mother who can’t stay out of trouble, his best friend is a thirteen-year-old alcoholic, and the masters at his tough Scottish school are always raising their canes in his direction. When he becomes an adult, he escapes, and chooses the safe route, watching the rest of the world from a distance. Everything changes the day he meets the beautiful, alluring, green-haired Heather, and when he learns of Heather’s own abusive childhood and the horrific secret she’s been carrying, Malcolm makes a decision-this time he’s not backing down, whatever the cost. The first book of the MY TEMPORARY LIFE Trilogy deals with friendship, love, and what it means to be a hero. A top-ten Amazon bestseller in all categories, the self-publishing journey the author undertook to publish this work has been documented in Publisher’s Weekly, Forbes Online, Canada’s Globe and Mail newspaper, as well as Amazon press releases. Click here or type in http://smarturl.it/5ybq6u into your web browser to pick up your copy of My Temporary Life . Martin was born in the Highlands of Scotland and currently makes his home, with his partner Jacquelyne, in Cloverdale, British Columbia, on the west coast of Canada. The third book in the MY TEMPORARY LIFE Trilogy is due to be released late in 2013. You can visit Martin’s Amazon author page if you click here or type in http://smarturl.it/martincrosbie into your web browser. Only two and a half hours to go to enter the drawing for the giveaway of a FREE Kindle Keyboard with 3g…have you entered? Have you passed this on to your friends and family so they can enter, also? Don’t miss out! Just click here or type in http://smarturl.it/043g into your web browser to enter!